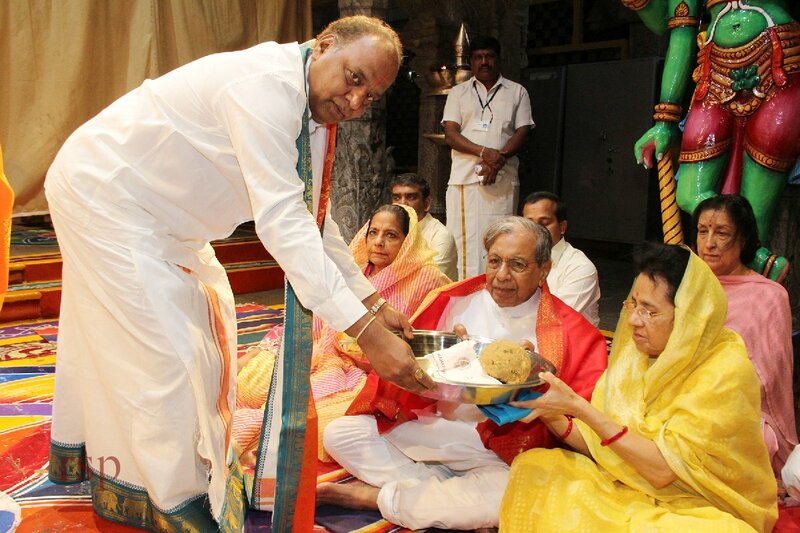 Tirumala, 10 October 2018: The Fifteen Finance Commission of India Chairman Sri Nand Kishore Singh offered Prayers to Lord Venkateswara at Tirumala on wee hours of Wednesday morning during Suprabatham Seva. 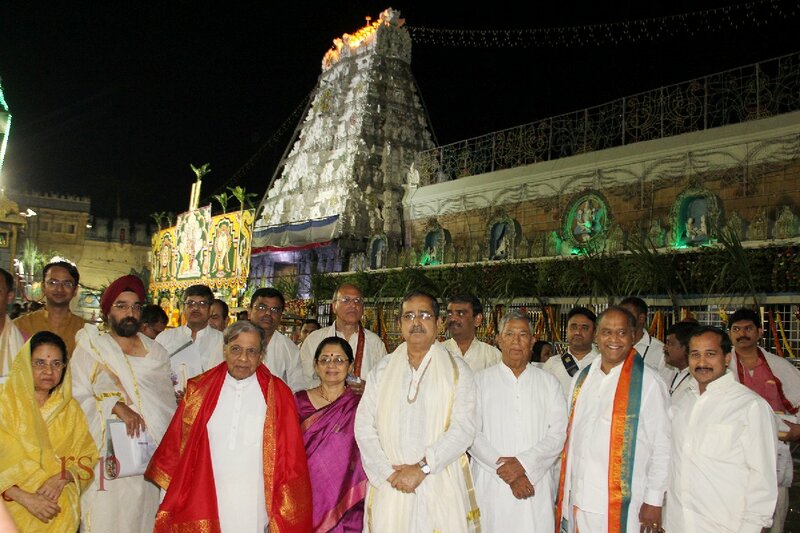 On his arrival at infront of Srivari Temple Tirumala JEO Sri KS Sreenivasa Raju have welcomed the Commission Chairman. He offered prayers to the presiding deity of Lord Venkateswara, Vakula mata, Ananda Nilayam Vimana Venkateswara, Bhashyakarla Sannidhi and Yoga Narasimha Swamy in the Sanctum Sanctorum. After offering prayers the Vedic Pundits rendered Vedasirvachanam to the 15thFinance Commission Chairman at Ranganayakula Mandapam. 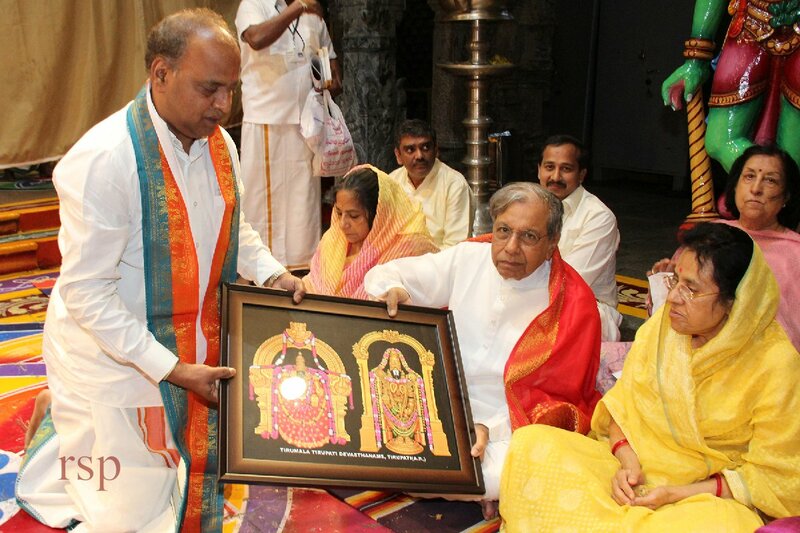 Later Tirumala Joint Executive Officer Sri KS Sreenivasa Raju offered prasadams to Chairman. Temple DyEO Sri Haridranath, Reception Officer Sri Balaji and other officials were also present.